Do the arts go hand in hand with Common Core? Fourteen-year-old Zarria Porter spends her days surrounded by fine works of art. On her way to dance and computer classes, she passes through a sun-drenched lobby showcasing Georgia O’Keeffe’s “Brooklyn Bridge,” Albert Bierstadt’s “In the Mountains” and her personal favorite, “Song of the Towers” by Aaron Douglas. This is Zarria’s middle school. It is modeled after elite private prep schools, filled with high-quality reproductions of famous paintings from around the world. But Zarria is a student in Brownsville, Brooklyn, one of New York City’s poorest and most crime-ridden neighborhoods, and her school is a public charter. 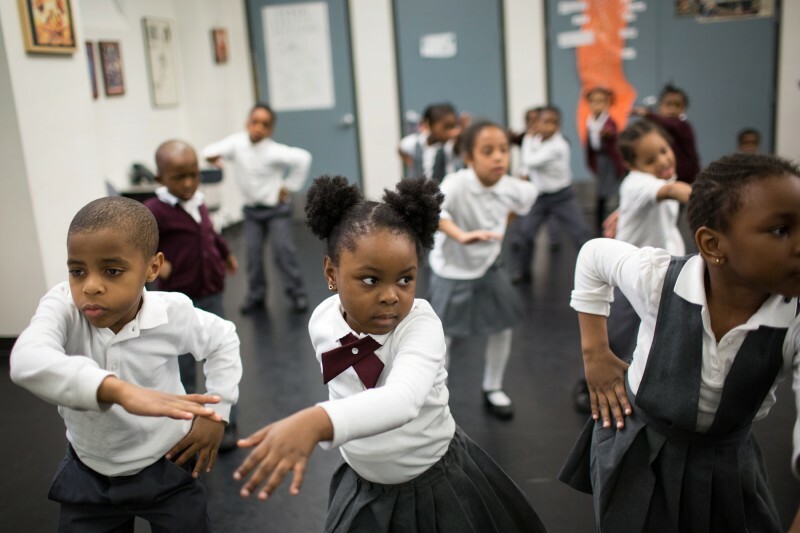 Ascend Learning, a network of seven charter schools in Brooklyn, is going to great lengths to ensure students living in the world’s cultural capital aren’t deprived of art, as so many poor, minority kids in urban America are. 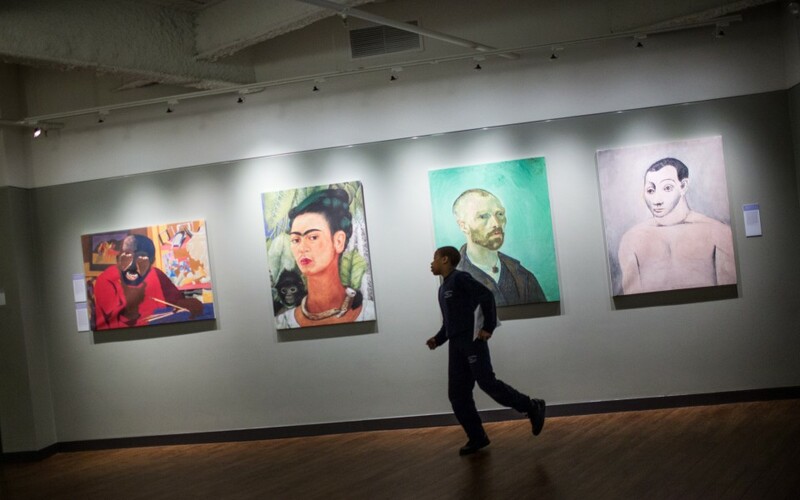 Inside renovated buildings that could pass for high-end galleries, students are not only taking art and music classes, but teachers incorporate art into academic subjects. School operators say this approach — using Pieter Bruegel’s “Landscape with the Fall of Icarus,” for example, to help fifth-graders learn about the myth of Icarus and Daedalus — makes complex literature accessible to struggling readers. And while they carefully monitored student readiness for this month’s high-stakes state exams, they refused to throw out their curriculum in favor of test prep. They point out that many students from neighborhoods like Brownsville get to college and flounder from culture shock. What good is a high score then? Such conviction is rare in an age where public education has become synonymous with the annual tests whose results can singlehandedly determine the fates of teachers, administrators and students. Amid budget cuts and long hours of drills in reading and math, the arts have been decimated in the many of the classrooms serving the nation’s neediest students. Advocates for arts education are hopeful that the Common Core education standards adopted by more than 40 states will soon change that, as the standards and new exams that go with them emphasize critical thinking and analytical skills, which they say go hand in hand with artistic expression. The arts have widely acknowledged benefits for education: They help create positive school climates and give kids a reason to show up to class when they find a passion for a subject like visual art, music, dance or theater. They inspire creativity and innovation, traits highly valued in the workforce. The arts most often get short shrift in high-poverty schools under intense pressure to boost academic performance. But the Common Core standards mention the arts frequently: approximately 75 times, according to Sandra Ruppert, director of the nonprofit Arts Education Partnership. Students are expected to analyze paintings, music and theater and create their own works of art. “The pendulum might be swinging to the idea that maybe kids actually do need a well-balanced education,” Ruppert said. More big cities, including New York, are increasing money for their arts programs as they roll out Common Core. “This is a really interesting and great opportunity to improve and expand arts education nationwide,” said Doug Israel, research director for New York City’s Center for Arts Education. But, he added, at his own children’s public school in the suburbs, pre-kindergarten classes have eliminated art. “The pressure is intense for them to know their letters and numbers at such a young age,” he said. Few schools emphasize the arts as much as those run by Ascend, which serves 2,800 students in kindergarten through eighth grade, and a high school expansion coming this fall. Nearly all students are black or Hispanic and more than 80 percent of them receive free or reduced-price lunch, an indicator of poverty. They are admitted by lottery, with wait lists at every grade. CEO Steven F. Wilson, who founded the network in 2007, studied sociology at Harvard. He wants his students reading great literature in the context of a broad liberal arts education, just like he had. He said too many public schools have a singular focus on test scores. “I don’t in any way discount that, but our purpose is much deeper,” he said. “It’s to equip our students with the broad capacities that can take them anywhere in life, whatever they want to do and whatever a changing world brings them.” Those capacities include the ability to separate fact from opinion, to think rationally and to have an aesthetic sensitivity. “These are the hallmarks of an educated person,” said Wilson, 55, a fastidious man who has kept close tabs on the architectural and design details of his schools. Wilson went on to design his two middle schools to look like art galleries. He has long been appalled by the way many public schools look; he notes that while crime is down in New York City, schools still have bars on their windows. “I’ve always found it peculiar that our urban schools should so often look like the worst in our society rather than an expression of our aspirations for our children,” he said. Ascend’s five buildings, all leased privately or from the Archdiocese of New York, are visually stunning, fit to hang fine art. 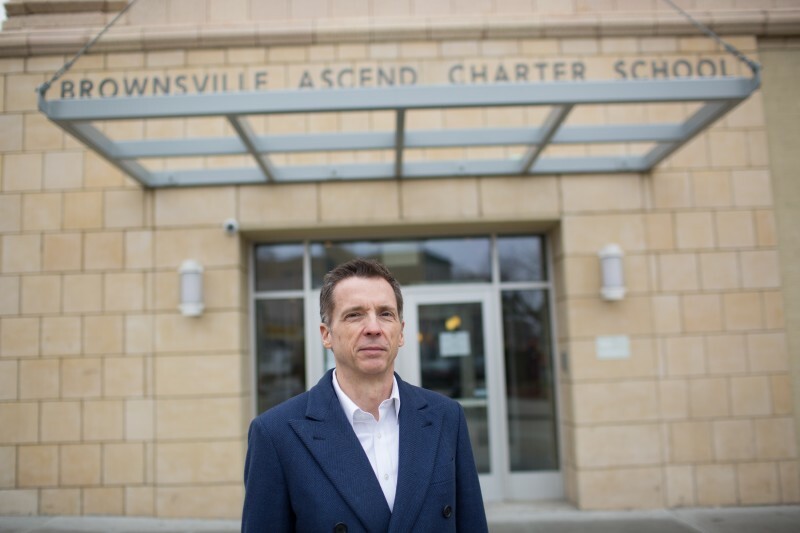 On principle, Wilson has not relied on private fundraising to operate; he wants to prove that Ascend’s practices are possible to replicate with the same money all public schools receive. But he has relied on creative lease negotiations most plausible in underserved neighborhoods: He persuaded a landlord to construct two buildings and helped to get Goldman Sachs and other investors to loan a developer more than $45 million to restore a historic abandoned theater that now houses three Ascend schools. Wilson’s team found money-saving tricks to create an elegant, museum-like look, using mock-walnut floorboards made of linoleum and painting walls in inviting colors like “grey cashmere” and “sea haze.” Nonetheless, Ascend officials say their schools spend about 17.5 percent of their budgets on rent and repaying building loans; among the tradeoffs, class sizes tend to be large, with an average of 28 students. Schmidt, now Ascend’s chief curriculum officer, found a company that secures digital reproduction rights from museums worldwide and a high-quality printer to make the replications on canvas and foam core. She compiled a collection of 69 replicated paintings not just as mood-setters and conversation-starters, but part of everyday coursework. She put prints by van Gogh and Picasso alongside artists from the Harlem Renaissance and civil rights movement. The idea is to show connections between a world that is foreign to the students and a world that is more familiar. 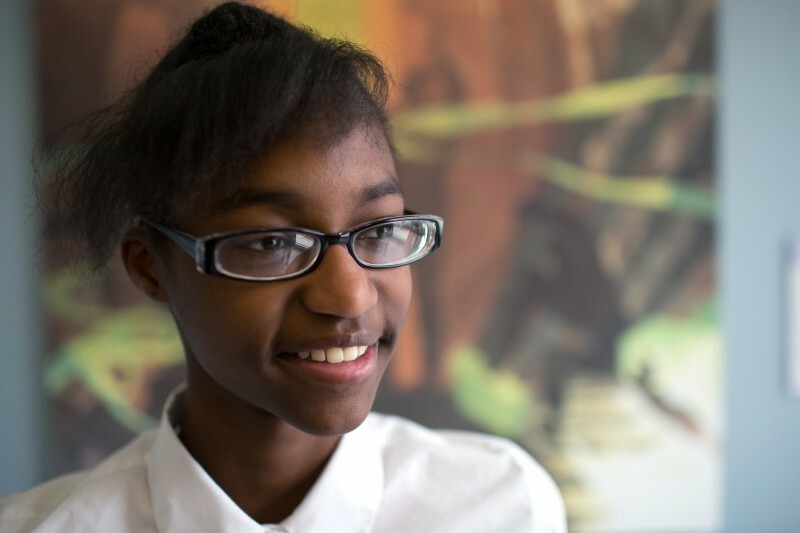 Zarria, a slight, bespectacled eighth-grader who hopes for a career in engineering or construction, said she thinks about how lucky she is when she passes “Song of the Towers,” depicting a black man’s rise out of slavery to express himself through music. “I’m here where I can get an education,” she said. 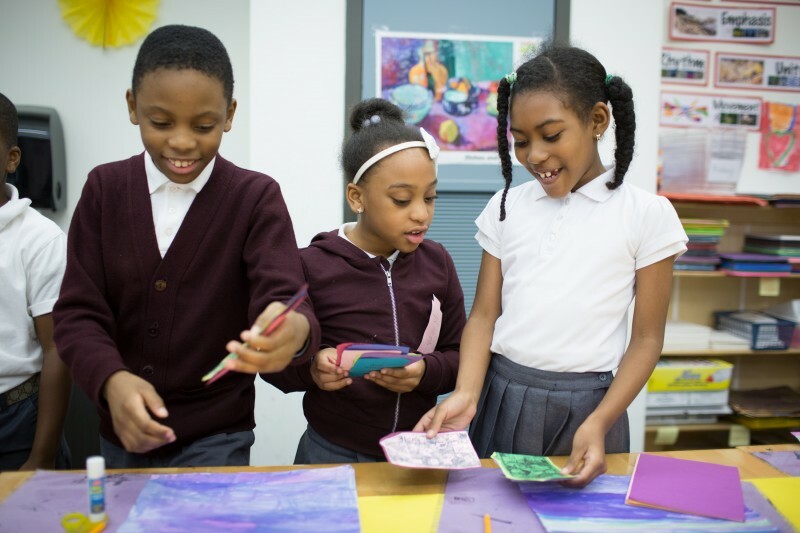 Lewisha Wright, her classmate at Brooklyn Ascend Charter, said the paintings “bring life to the school,” and the challenging coursework connected to them inspires her to push herself. She and Zarria are among a half-dozen students who periodically visit museums around New York City with Schmidt on Saturdays as a reward for staying at the top of their class. The Ascend humanities program began in 2011 with a daily 45-minute class period in fifth grade. 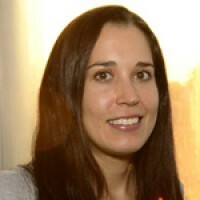 It has expanded annually ever since, and this academic year, Schmidt rolled out a Common Core-aligned curriculum that she wrote with a team of experts, integrating the arts and close reading into every class and subject. The curriculum uses the arts to help children make sense of highly complex texts, with each grade focusing on a particular theme. 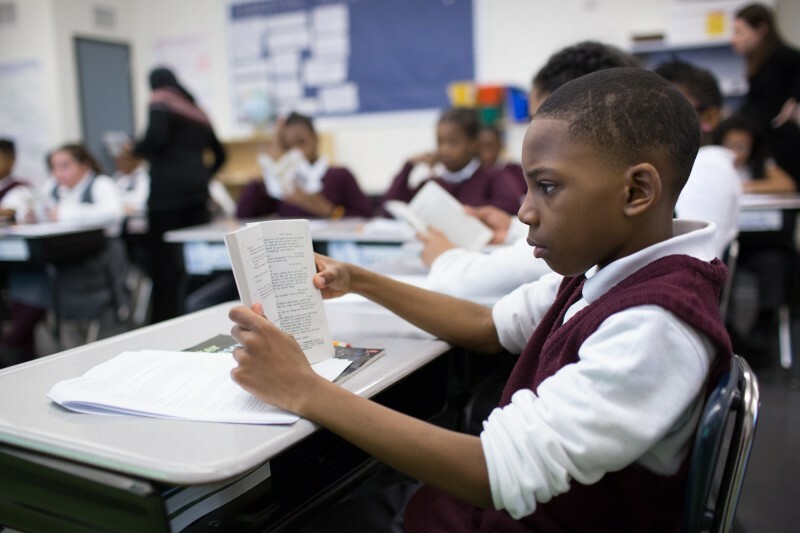 Instead of cramming the week before state tests were to begin on April 14, fifth-graders at Brownsville Ascend Lower School were reading Shakespeare’s “The Tempest.” It’s a book often found in high schools, but the plot fit perfectly into the fifth-grade theme of family struggles, slavery and colonialism. The students are preparing for a year-end theatrical production of the play. Crystal Lane, a seventh-grade humanities teacher at Brooklyn Ascend, said she has been teaching her students test-prep skills — in the context of reading Emily Dickinson’s poetry and Henry David Thoreau’s “Walden.” She used to teach at a school in the Bronx where she said students often read sample passages to mimic test questions, not real books. Related: Common Core tests were supposed to be immune to test prep. So why are kids spending weeks prepping anyway? Last year, Ascend schools outperformed other public schools in their neighborhoods and, in some grades and subjects, beat city averages. But still only between a quarter and a third of students met the tough new proficiency standards of Common Core. Administrators believe their new curriculum will yield better results this year, but regardless, they are committed to giving it time to show impact. Does the anti-Common Core movement have a race problem?